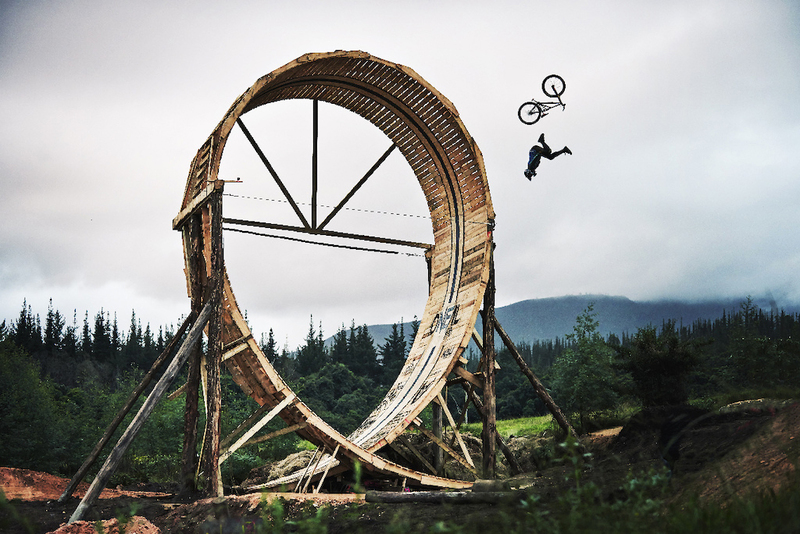 A professional freestyle mountain biker dreamed of defying gravity on a massive wooden loop he built with his friends and crowd-sourced funds. The short story? Gravity won. Pro biker Matt Macduff dreamed of riding a 40-foot swoop of wood, a structure that came to be called the “Loop Of Doom.” He dreamed so hard that he actually went for it, launching a project on Kickstarter in January. He totally ate it, and he wound up with 10 fractures in his right wrist, three in his right ankle, and presumably a healthy respect for gravity after all. Watching the video, we’re glad things weren’t worse. Macduff is currently working on rehabilitation at his home in Ontario. While the 40-foot loop wasn’t his first attempt at this — he’d “mastered” a 20-foot loop before the attempt — it still seems full-on nuts. Macduff talks about the project in an interview on his blog dedicated to the project. If you’re intrigued, check it out. We wish Macduff a speedy recovery. We wouldn’t, however, recommend trying this at home, or anywhere else.